In this information age, either personal or business has many data created by computer. At first, people stored files only in local hard disk. If they need to use the files on another computer, they send the files from one to another via any transfer tool once net connected. Or move files to USB, external hard drive, and then put the USB into another machine and visit the file. One question is that, both local hard disk and external hard disk are limited. So today more and more people start to save files in cloud. One obvious advantage of cloud storage is that we can visit files in it on any devices through Internet. Many main stream technology companies developed cloud drives, such as Microsoft OneDrive, Google Drive, Dropbox, Amazon Cloud Drive, MEGA and so on. Each has its own specialists. For various reasons, users registered several accounts to try. Thus, how to manage them becomes a problem, don’t worry, MultCloud is the solution. MultCloud is a multiple clouds management app based on website. 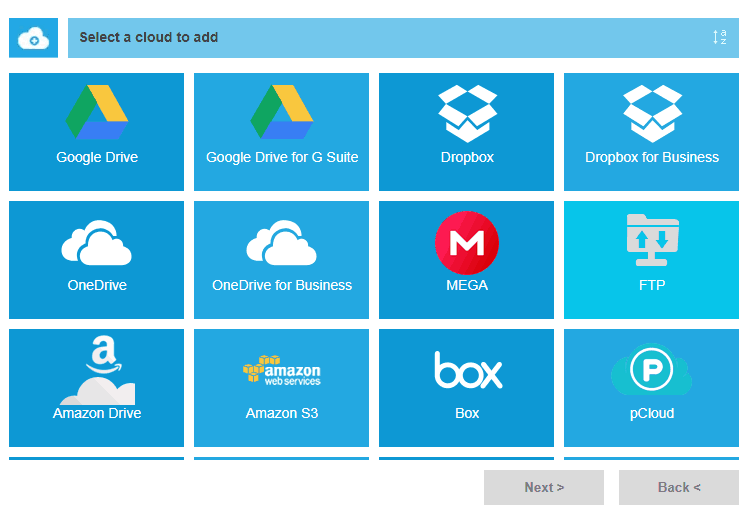 It supports more than thirty clouds: Dropbox, Dropbox for Business, Google Drive, Google Drive for G suite, Box, Google Photos, Amazon S3, Amazon Cloud Drive, SugarSync, Backblaze, Alfresco, hubiC, Backblaze, Evernote, OneDrive, OneDrive for Business, MEGA, Egnyte, pCloud, CloudMe, Cubby, MyDrive, WEB.DE, Yandex, Put.io, HiDrive, MySQL, Flickr, MediaFire, ownCloud, ADrive, BaiDu, WebDav and FTP/SFTP. After adding cloud into MultCloud, right click a file under MultCloud’s Explorer interface, you can learn MultCloud’s functions: create, delete, upload, download, rename, cut, copy, preview, share, etc. They are similar to Windows Explorer. Next, we discuss some features in details. 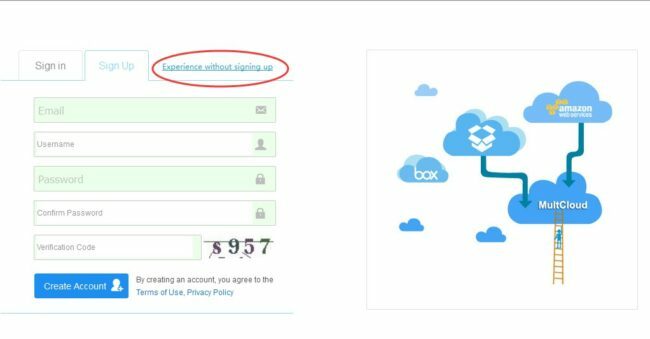 Upload: not only upload files, but also upload URL is OK, MultCloud will help you convert the download link to destination file. Copy to: in its pop-up window, you can copy files to multiple other clouds at the same time, and choose delete original files or not. Preview: supports files types are jpg, png, gif, pdf, xls, doc, txt, html, js. Share: create share links or share by email and SNS. In the left list, there is a Shares Management, your created shares and received shares can be find there. Now switch to Cloud Transfer Service, you can set more options for transferring task. MultCloud realized schedule transfer, parallel transmission and still transfer even after power off. Near Cloud Transfer button is Cloud Sync, MultCloud provides eight sync ways here: simple sync, mirror sync, move sync, cumulative sync, update sync, incremental backup sync, full backup sync and two-way sync. MultCloud is free to register, but you can also experience it first without signing up. MultCloud provides free users 50GB Data Traffic per month month, it gives you a chance to get more if you upgrade to premium account. 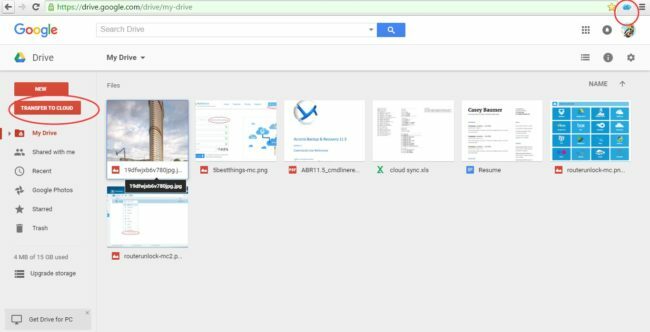 MultCloud has a Chrome extension app, which is easy for you using MultCloud and Google Drive together. If you are interested in it, you can install it on the Chrome browser.